“They say the neon lights are bright on Broadway.” And indeed, what they say is true. Outside of Nevada, there is no flashier street running through these United States than the Great White Way. Broadway epitomizes glamour, fame, and stardom. It is the glittery finish line for all aspiring actors, in their race for theatrical celebrity. “Bright lights, big city,” or so the old trope goes. Usually, the content of its musicals is made to match this quintessential Broadway ethos. Countless shows feature stories of characters rising above their humble roots, in order to achieve fame and fortune. Think of Mama Rose in Gypsy, determined to turn her daughter into the superstar she never managed to become herself; or of Roxie Hart in Chicago, hoping to springboard from her murder trial to the Jazz Age center stage; or of Eva Peron in Evita, using her womanly wiles to climb from her working-class beginnings to the Argentine throne; or of Fanny Brice in Funny Girl, whose voice and fortitude propel her to theatrical renown despite her atypical appearance; or of Marilyn Monroe in Smash’s Bombshell, transcending her humdrum inherited identity as Norma Jeane Mortenson to become the icon of the silver screen; or of Amanda in Smash’s Hit List, clawing her way to the top by reinventing herself as an anonymous original and sacrificing the man who loves her as collateral damage along the way. Of course, the catalogue could go on and on. Even musicals unconcerned with celebrity tend to follow this me-against-the-world-I’ve-known outline. Often we see Broadway protagonists reacting against their cultural settings in order to attain, if not fame, then at least the moral high ground, proving themselves superior to their small-minded or sinister contemporaries. In this category, recall Sweeney Todd’s Benjamin Barker, who pledges to rid London of its evil upper-class overseers and put their remnants to creative use; or Wicked’s Elphaba, the only woman in the land of Oz with the courage to resist the enticements of the not-so-wonderful Wizard; or Spring Awakening’s Melchior Gabor, the outspoken voice of honesty in a deceitful and sexually repressed German society; or Rent’s Mark Cohen and gang, the Bohemian antidote to the money-hungry capitalists evicting everyone in sight from Alphabet City; or West Side Story’s Tony and Maria, the two lovebirds whose affection enables them to transcend the racist gang warfare of the Upper West Side. Again, further examples abound. Needless to say then, one does not find too many porches along Broadway, nor too many Porchers on its stages. Rather than celebrating their origins and thriving within the humble limits of their inherited circumstances, the heroes of musicals typically forsake their starting points, in the hopes of discovering something grander for themselves as they wander far from home. Thus the standard Broadway protagonist tends to view the community into which she is born not as the natural setting for her flourishing but as an obstacle to it. This season, however, thanks to a certain 1972 musical revival, the Enlightenment-inspired Broadway themes of ambition and self-determination are being called into question from within the Theater District itself. 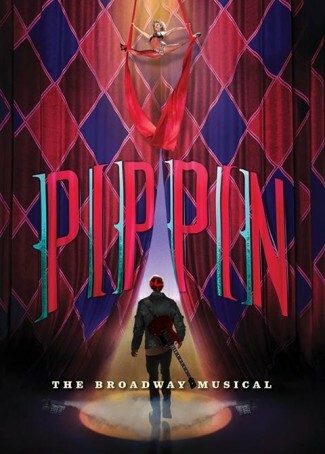 Pippin is a not-so-historical Stephen Schwartz musical, set in the ninth century and centering around the unsettled son of the Holy Roman Emperor Charlemagne. The show earned four Tony Awards out of its ten nominations this summer, with both Patina Miller and Andrea Martin taking home prizes for their performances—both exceptionally well earned, I might add. The musical begins like all of its above Broadway relatives. The opening number, “Magic To Do”, introduces the glamour of the event and explicitly invites the audience into the fabulous spectacle to come. In this 2013 production, the Leading Player of the performance troupe opens the show by parting the door of the giant circus tent that initially covers the stage, breaking through the fourth wall and ushering the viewers into the marvelous drama waiting inside. Having been numbed to the vanity of Broadway themes for so long, I initially failed to notice the irony Schwartz intended in these lines and took them at face value. After all, in their aspirational individualism, they end up almost indistinguishable from passages in Gypsy’s “Everything’s Coming Up Roses” or Wicked’s “The Wizard and I” or Bombshell’s “Let Me Be Your Star”. And indeed, Pippin’s tale begins much like those of his Broadway colleagues, his initial itch to belong propelling him onto an elaborate pilgrimage of sorts. In an attempt to find fulfillment and prominence, Pippin spends the whole of the first act bouncing from one flashy adventure to the next, almost Ecclesiastes-style, trying his hand at warfare, sexual promiscuity, political leadership, art, and religious life. The Leading Player prods him along throughout this quest for “Glory”, justifying his restlessness by insisting that all he wants from life are some “Simple Joys”, and encouraging him at each step of the way that he is “On the Right Track”. But the most important stage of Pippin’s journey—a stage the Leading Player intends as just one more brief stopover on his way to grandeur—finds Pippin at the modest country home of Catherine, a humble and ordinary “Kind of Woman”. Upon finding him lying comatose and decrepit in the street, the young widow and her adolescent son Theo welcome Pippin into their house, and eventually, into their hearts. Critically different than any of Pippin’s episodes so far, his time with Catherine is neither dazzling nor exhilarating. There is a simplicity and a stillness at their estate that he has not encountered before—the very sort of ordinariness that Broadway stars in the mold of Roxie Hart and Evita Peron detest, and that Pippin himself pledged to avoid just one act prior. Nevertheless, this plebian mother and son secretly hope that perhaps Pippin will stay with them. They dream that he will eventually come to replace Theo’s late father as the head of the household, plus as the male parent in the little boy’s life. And for a time, Pippin does just that: he pinches hay on the farm, comforts Theo when his pet duck passes away, shows (and makes) love to Catherine, and occupies the head of the table during family meals. But unfortunately for the broken family, it seems all good things must come to an end. Pippin having lived this quotidian family life for long enough, his desire to become “Extraordinary” eventually gets the better of him. He remembers his vow never to settle for commonplace pursuits, which surely their plantation exemplifies. And so, leaving behind the woman who loves him and the boy who needs him, he allows the Leading Player to usher him away from Catherine and onward towards splendor. Here for the first time, however, the Leading Player loses control of one of her performers, and this is the point in the musical where the usual Broadway themes begin to be turned on their heads. A member of the company, unsatisfied with the troupe’s standard narcissistic plotline, opts to go off-book in order to interfere with the direction of this play-within-a-play. That performer is the actress playing Catherine, who, much to the dismay of the Leading Player, steps into the spotlight sans cue to express her sorrow at Pippin’s departure in the touching aria, “I Guess I’ll Miss the Man”. But to spite Catherine, and to save the spectacle that is her company’s show, the Leading Player responds by stealing Pippin away from this sob story and skipping to the very end of the epic narrative. With a dazzling display of aerials and acrobatics, she thrusts the prince into his grand “Finale”, bringing him at last to the event that every episode thus far has been building to. Pippin’s ultimate destiny, she reveals to him at last, is to go out in one grand blaze of glory. What he has been questing for all along, the Leading Player now testifies, is nothing less than a blindingly beautiful suicide. Still Pippin hesitates, initially resisting their persuasion. So as one final encouragement, the troupe unites their voices to echo the chorus from Pippin’s own very first song: “Rivers belong where they can ramble. / Eagles belong where they can fly.” Reminding the protagonist of his initial aspirations, his fellow actors tempt him to follow through with his quest, and to embrace his fated climax in this marvelous demise. But just then, and much to the dismay of the Leading Player, a second character decides to go off-script: Pippin himself. In this crystalline moment of self-understanding, sitting atop the exhilarating flying trapeze, Pippin undergoes a profound conversion. As mother and son reenter the scene, he is faced at last with the radical alternative between these two women, the Leading Player and Catherine, and between the two destinies they represent. The one he has followed from the outset; she promised him glory and, in this not-so-death-defying acrobatic act, she has delivered on her promise. The other he stumbled upon quite by accident, and while she promises him no splendor whatsoever, he wonders now if perhaps the humble limits of her hearth are not somehow preferable to the blazing funeral pyre standing before him. Staring down on the stage and finally seeing through the ornate façade of the Leading Player’s pyrotechnics, Pippin makes his choice. Furious with this unscripted and unexciting decision, the now almost satanically crazed Leading Player determines to punish Pippin, Catherine, and Theo for ruining her dramatic phenomenon. In one of the most powerful theatrical moments I have ever witnessed, she completely disassembles the stage. She tears down the circus tent, rips away the costumes, rubs off their makeup, and dismisses the rest of the company. The theater completely stripped and all of their glitzy accompaniments stolen away, the three members of the reconstituted family are left standing alone before the audience, in plain clothes beneath a pale and unflattering light. Yet in this instant and for the first time in his life, with no one more surprised by it than he, Pippin finds himself truly happy. What he was searching for, he now realizes, could not be found amongst the glitz and glamour of the performance troupe. Mama Rose was wrong, and so were Marilyn and Fannie Bryce. Celebrity can give the most dazzling illusion of happiness, but it cannot deliver on the real thing. At last Pippin realizes that his fulfillment can only come by embracing the very ordinariness he has feared, by drawing close to the woman he loves, average though she is, and by living out their days together. He will be a husband to Catherine, a father to Theo, the master of their modest estate, and an overall contented man. As it turns out, the front porch has been Pippin’s true destiny all along. I wanted magic shows and miracles, / mirages to touch. / I wanted such a little thing from life. / I wanted so much. / I never came close, my love. / We never came near. / It never was there. / I think it was here. / They showed me crimson, gold, and lavender: / a shining parade. / But there’s no color I can have on earth / that won’t finally fade. / When I wanted worlds to paint / and costumes to wear, / I think it was here, / ‘Cause it never was there. Michael W. Hannon is an editor at Fare Forward, a contributing editor at Ethika Politika, and the managing editor of The Thomistic Institute in NYC.